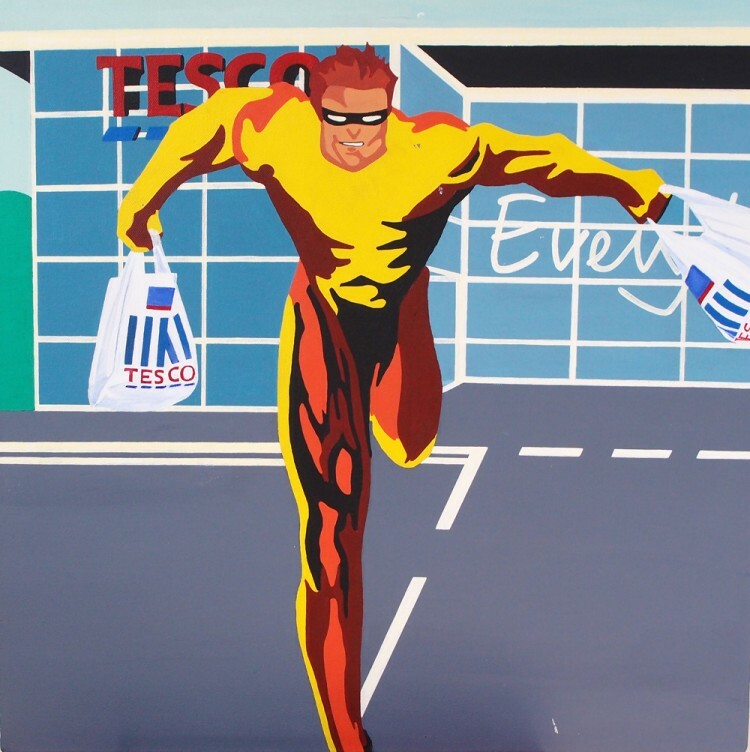 Even superheroes have to do the food shopping, and in the current economic climate they need to make sure they’re getting the best value. Just like us, they only shop in Waitrose and M&S for ‘bits’ and do their main shop (in this case) in Tesco. This all makes it quite clear how terribly middle class I am, and how I am turning into my mother. The main difference is when a superhero does the shopping, they do it at high speed. But just to make it clear, the superhero in this painting has most definitely paid, and is not robbing the place. In the interests of impartiality, I should also point out that other supermarkets are available.